Little is known about early climbing attempts on Thimphu’s only salient climbing rock-“THE NOSE”. Ideally situated just above Thimphu, the area was first discovered by Stefan Priesner, an Austrian working with United Nations Office in Thimphu together with two trekking guides from Lhomen Tours and Treks in the summer of 1996.The route which was climbed top rope, was later named “Reach and Preach”. The nose was later developed when the routes were first bolted in April and May 1998 thus resulting Bhutan’s first climbing gym. Rock climbing in Thimphu gained its popularity after Stefan, Dilu, Arun, Robin and few students who were also being trained decided to form a club and training center for rock climbing. The club, “Vertical, Bhutan Climbing Club” was formed in 2000 with 18 members from which, 11 are students. The club’s main objectives are to train Bhutanese youth, organize rock-climbing events etc. The club has recently, been featured by the National Television Network for encouraging the youth in this field. As mountains are sacred and considered to be deity in Bhutan and there is hardly any mountaineering so we satisfy our mountaineering ambition by climbing rocks. At present the club is trying to reach out to Bhutanese youth, who seems to have a lot of free time, by having discussions with Bhutan Youth Center to jointly organize Rock Climbing events.  We are also hoping to develop a library on rock climbing. We hope to make Bhutan’s first rock climbing club a major tool for the students and youth to develop their inner strength and use their spare time in a constructive way. Because we feel strong nations are built by strong youth.